The purpose of this form is to collect feedback and questions specifically regarding the interpretation and implementation of the SA8000 Standard and system requirements. As information is collected, SAI will review the feedback with Social Accountability Accreditation Services (SAAS), our expert field staff, and our multi-stakeholder Advisory Board as necessary. The questions and clarifications, as well as valuable implementation suggestions from SA8000 organisations, will be published in SAI's e-newsletter and on our website. If you have questions regarding how to obtain SA8000 certification, please our website here. 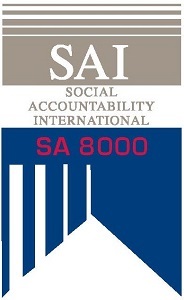 Any other question regarding how to obtain certification should be emailed to sa8000@sa-intl.org.